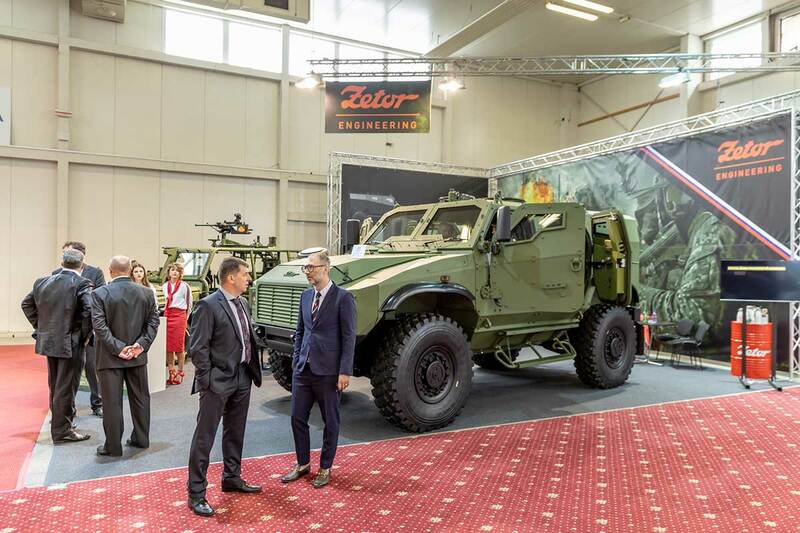 The international defence exhibition IDEB 2018 in Bratislava, from 16 to 18, 2018, welcomed lots of novelties, among which are the Armored Tactical 4×4 vehicle, GERLACH, and the lightweight tactical vehicle, FOX, presented by Zetor Engineering Slovakia, a.s., which is part of HTC INVESTMENTS, a.s.
GERLACH is a tactical vehicle that involves the latest technical, construction, as well as combat experience from this century. GERLACH offers a new level of protection, modularity, mobility and comfort for the most diverse types of deployment at a highly competitive price (the basic version starts at EUR 398.000). The key features of GERLACH include optional ballistic and anti-mine protection, which allows you to configure GERLACH up to protection level STANAG 4569 Volume 3, i.e. to one of the highest levels specified in the so-called IEDs (Improvised Explosive Device Systems); high mobility, which is particularly achieved thanks to unique construction solutions and the use of high-quality key components from renowned European suppliers; and a combination of comfortable crew compartment – besides the usual 2+2 and 2+3, it also offers the above-standard crew members of 2+4. 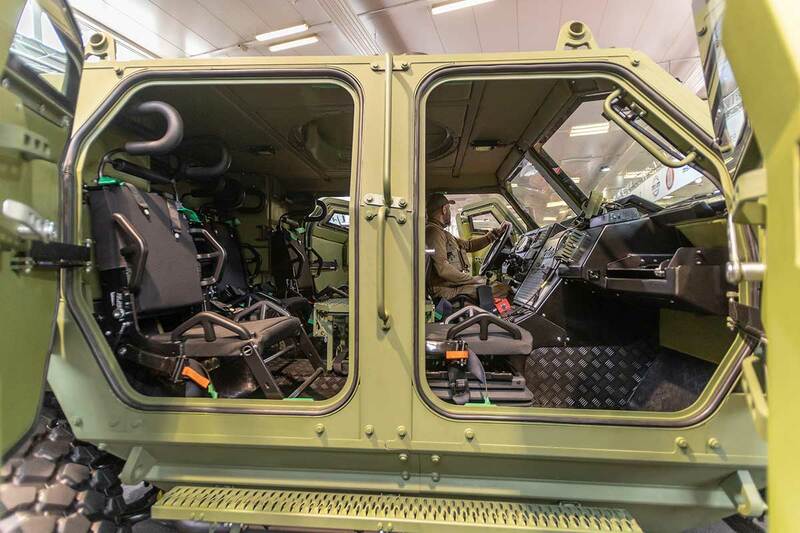 In relation to the GERLACH project, the company targets all markets where procurement or replacement of obsolete 4×4 multipurpose vehicles is under way. For its part, FOX is a rapid deployment vehicle, which has undergone foreign military tests. 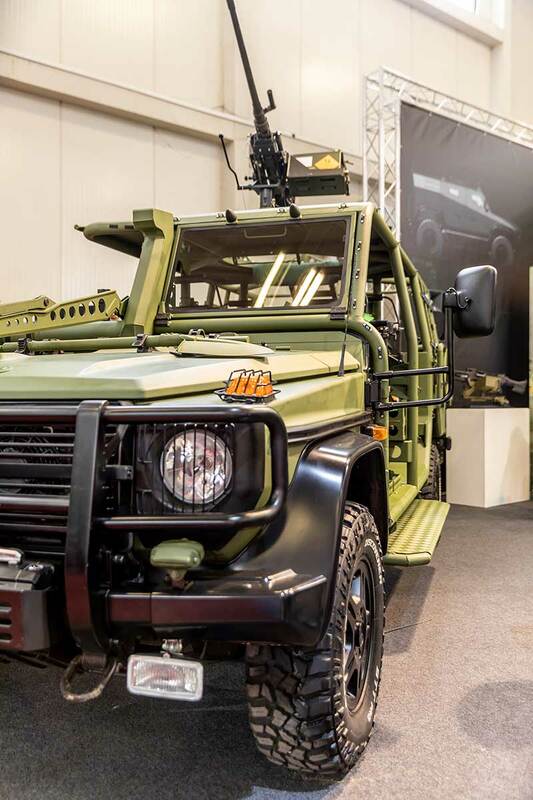 It shows high off-road performance of the RDV (Rapid Deployment Vehicle) category and is intended for the needs of special forces or rapid deployment forces. The vehicle transports a four-member crew and equipment, including armaments. The key attributes of FOX include high off-road 4×4 performance, low weight, configuration adaptability in accordance with the requirements of the customers. The vehicle was first presented at IDET 2017. At IDEB 2018, the company is showcasing again the FOX due to the positive feedback from IDET 2017. Zetor Engineering Slovakia was founded in June 2000. It is a professional partner for development, innovation and comprehensive delivery solutions in the field of defence industry. The GERLACH project has also involved several other companies from the engineering sector, which are also part of HTC Investment a.s. – Zetor Engineering Brno, Ltd., IPM Engineering, Ltd., as well as ZETOR Tractors.